We can book the Accomodation at Tirupati from online www.ttdsevaonline.com or else fromE-darshan counters in all over India in 56days in advance. 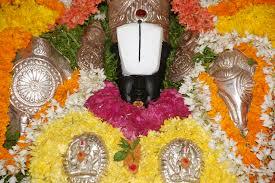 In Tirupati there are two TTD complex Srinivasam complex and Vishnunivasm complex, In Srinivasam complex we can able to book from online and E-Darshan conters. In Vishnunivasam complex it is only current booking, stright away we can join the counter and take the accomodation. The following is the list of prices of accomodation at Tirupati. I want room at srinivasam on 24th Feb 2018 for 4 hours to get Freshup purpose. Shall i get room for 4 hours. Dolmetry will be there anyways we can get freshup and go to darshan. But we don't get room for single person or hours basis. Upto 24 hrs only we will get room at tirupati or at tirumala. From one id (mail Id) we can book one accommodation only , say suppose your brother is also coming with u means from that id we can book another room for day 2. So we can stay 2 days at tirupati.